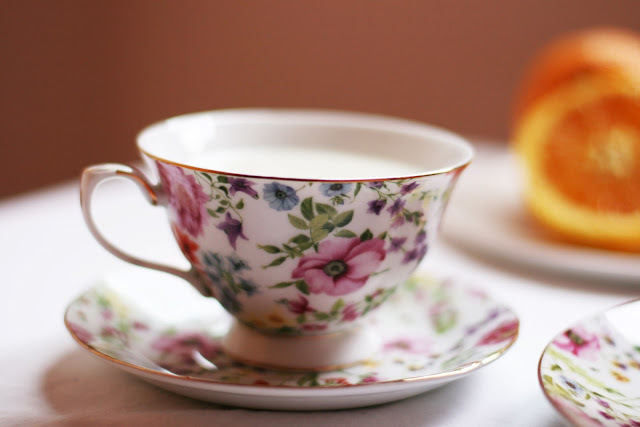 This is one of those recipes that are timeless, delicious and easy to make at home. 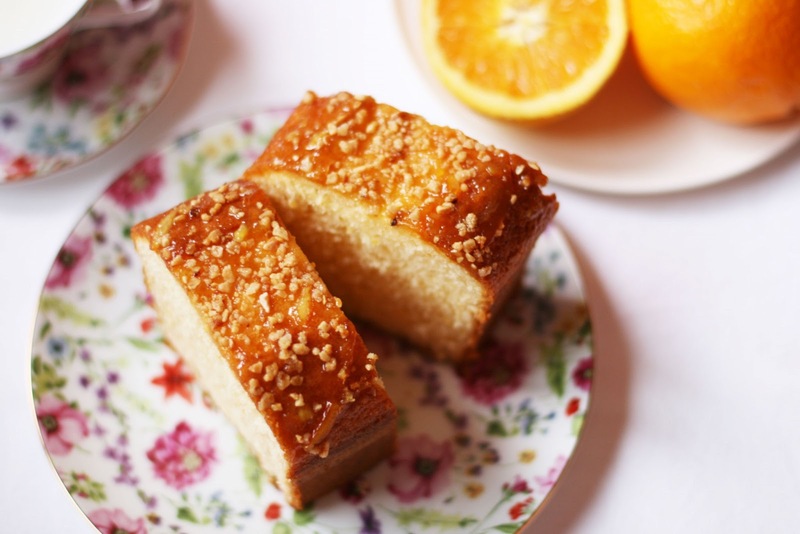 Every time I bake an orange pound cake there's an irresistible and sweet smell all over the house that I love, actually I think the scent of homemade baked goods is the best aromatizer that could ever exist. 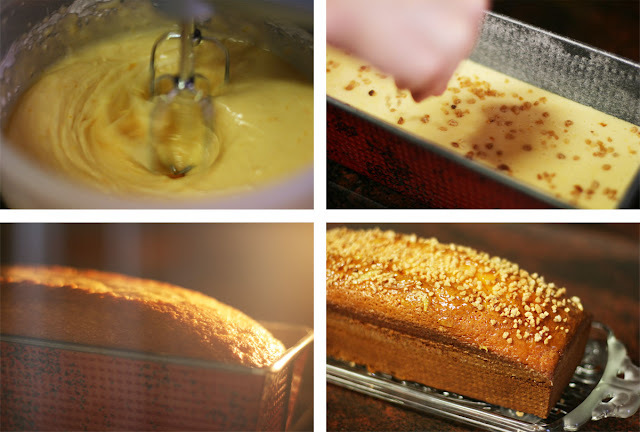 It's a customized version of the classic Lemon Pound Cake recipe that I published long ago. I switched to orange yogurt, replaced one cup of the all-purpose flour for almond flour, added some orange zest to the batter and finally poured in a handful chopped almonds. To garnish I used a bit of bittersweet orange jam and more almonds. 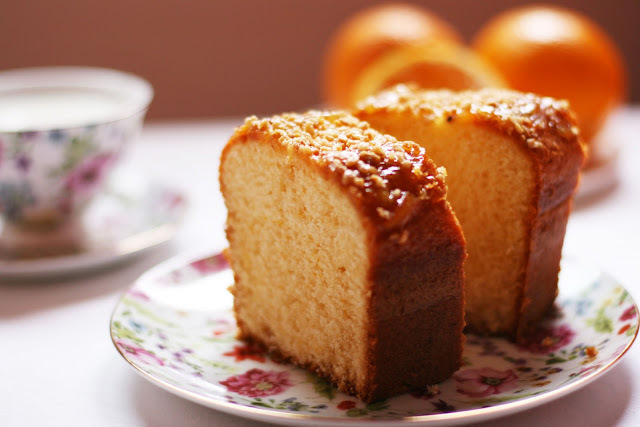 Weekend is almost here so I suggest you to bake this pound cake and enjoy it as a delicious Sunday breakfast with a glass of fresh squeezed orange juice. 1 orange (or natural) yogurt. 16 g baking powder (1 sachet). 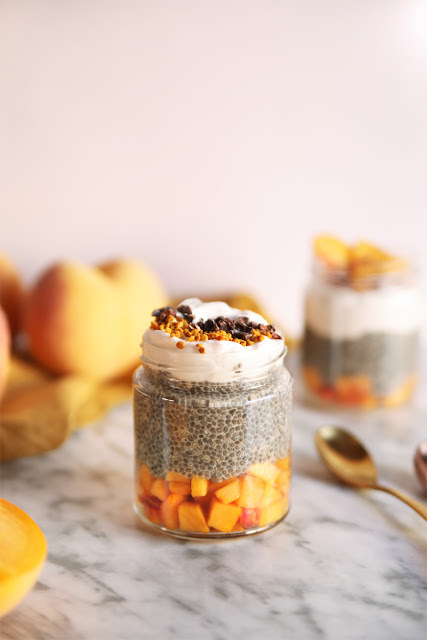 *Note: 1 cup in this recipe equals to 1 yogurt container. Preheat oven to 356ºF (180ºC). In a large bowl, place eggs and sugar and beat well. Add in the orange yogurt and orange zest, keep beating. Gradually pour in the oil and don't stop beating. In a separate bowl mix together the baking powder, all-purpose flour and almond flour. Make sure all the dry ingredients are well combined. Sift it into the wet mixture. Grease a loaf pan with butter and dust with flour. Pour the mixture into the prepared pan and add some chopped almonds. Bake for 40 minutes, until a toothpick inserted in the center comes out clean. Let it cool in the pan and remove from it once you want to serve it. 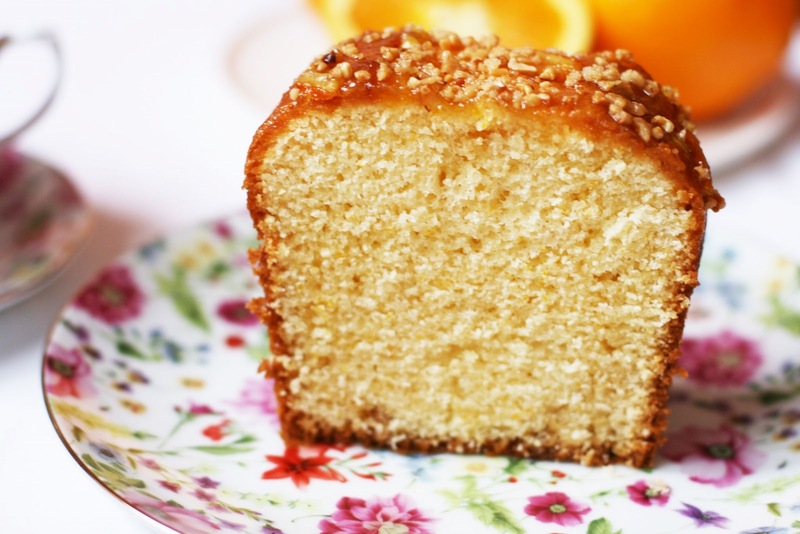 To garnish: melt a bit of orange jam and brush over the pound cake, pour more chopped almonds and you're done! Qué maravilla de bizcocho y de fotos, como siempre!! Aquest cake té molt bona pinta! Molte gràcies Víctor! :-) La fotografia és una de les meves passions i sempre ho intento reflexar en les fotos que faig de les meves postres. Gemma, te quedó perfecto, es sorprendente, las fotos preciosas y el corte es fantástico!